Students can save copies of work submitted to eClass off the system export to portfolio. It is possible to export any content submitted within a forum or an assignment or indeed any other collaborative activity in eClass to a portfolio. 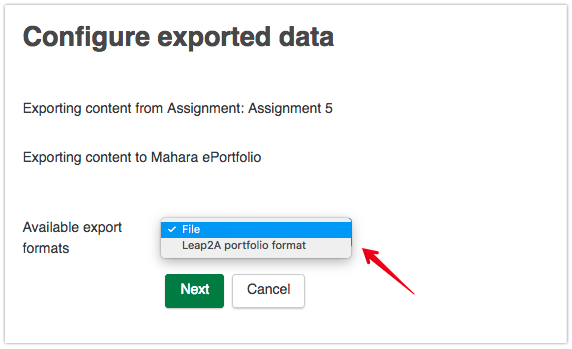 There are currently 2 possible portfolios available for export: Mahara ePortfolio and U of A Google Docs. Mahara ePortfolios is a system that is specifically designed for electronic portfolio (web page) construction. This may be required for specific courses or programs at the direction of a course or program instructor. The system allows you to build pages incorporating your work from other sources (eg. eClass, Google drive) that can be used to demonstrate competency in an area and/or be used for a specific purpose (eg. a CV). For an overview of using U of A ePortfolios, please see here. 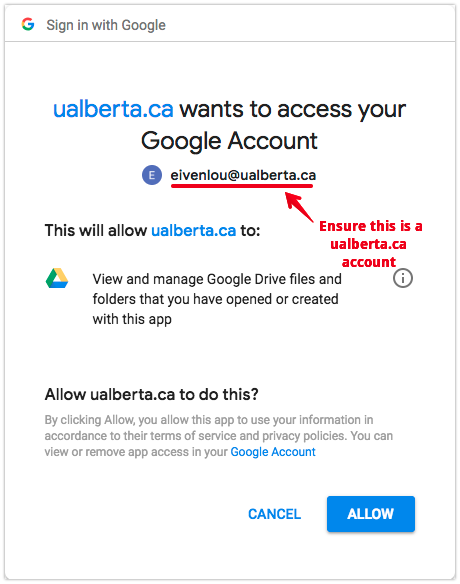 U of A Google Docs is a full-featured online document editing and storage tool available tofor all students, faculty, and staff through their ualberta.ca account. For more information and assistance with this and other tools in the Google Apps suite, please see here. Navigate to the item that you'd like to keep (e.g., blog post, discussion post, assignment submission, collaborative activity, etc...). Click the Export to Portfolio link below or the plus button at the right hand side of the object. Choose the Select destination, either Mahara ePortfolio or U of A Google Docs. 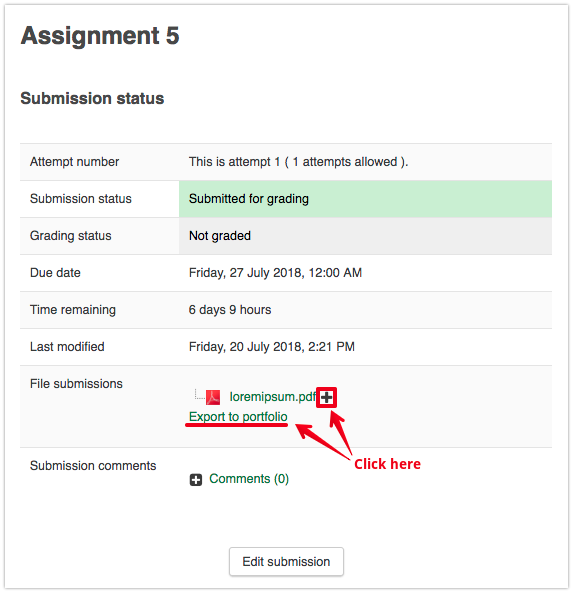 For more details on this process including where to find your exported content in ePortfolios, see the article Saving eClass Content in Your Mahara ePortfolio. Click Continue. Your content is now saved to the portfolio you selected. eClass will display two options: Return to where you were (in eClass) or Continue to your portfolio (launch whichever portfolio you selected). Choose which area you would like to continue on to.